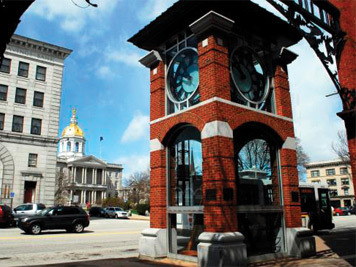 Concord Young Professionals Network Budget on Tap: Wednesday, February 7, 5:30-7:00pm, The Draft Sports Bar & Grill, 67 South Main Street, Concord. Complimentary admission (includes drink ticket and appetizers). Presented in partnership with The Concord Coalition and sponsored by The Draft Sports Bar & Grill and Maggiotto, Belobrow, Feeney & Fraas, PLLC. Preregister at concordnhchamber.com. Business After Hours: Tuesday, February 13, 5:30-7:00pm, hosted by Bektash Shriners with co-host Alan's Restaurant of Boscawen at Bektash Function Hall, 189 Pembroke Road, Concord. Chamber members $7 prepaid/$10 at the door (guests and non-members must call in advance). Register at concordnhchamber.com. Concord Young Professionals Network February Wellness Series – Unplug & Power Down: Thursday, February 16, 5:30-6:30pm, Greater Concord Chamber of Commerce, 49 South Main Street, Concord. Sponsored by Northeast Delta Dental in partnership with Concord Hospital Center for Health Promotion. Complimentary admission. Preregister at concordnhchamber.com. Legal Breakfast Series – Probate, Will and Trust Disputes: Family Conflict During Bereavement: Tuesday, February 20, 8:00am-9:00am, Orr & Reno, PA, 45 South Main Street 4th Floor, Concord. Presented by Attorney Jeremy Eggleton. Complimentary admission includes a continental breakfast. Register at concordnhchamber.com. Concord Young Professionals Network February Networking: Wednesday, February 21, 5:30-7:30pm, Orr & Reno, PA, 45 South Main Street 3rd Floor, Concord. Complimentary admission. Preregister at concordnhchamber.com. Monthly Forum – Annual State of the State with Governor Chris Sununu: Thursday, February 22, 11:30am-1:00pm, Grappone Conference Center, 70 Constitution Ave, Concord. Chamber members $25/non-members $35 (includes lunch). Sponsored by Lincoln Financial Group. Register at concordnhchamber.com. 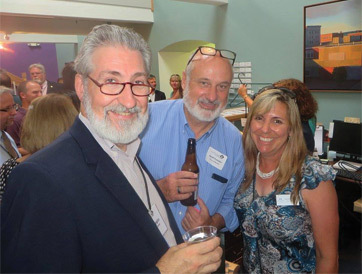 About CYPN: Concord Young Professionals Network (CYPN) is a professional and personal development initiative of the Greater Concord Chamber of Commerce. CYPN is a vibrant program that promotes the growth of more than 1,700 young professionals in their early twenties to mid-forties in New Hampshire’s Capital region by helping them make connections in the community and providing them with learning and networking opportunities in a welcoming setting. Complimentary networking events are held on the third Wednesday of every month. CYPN also offers enrichment events and a monthly Lunch & Learn Series in collaboration with the Chamber on the first Thursday of each month. For more information, visit concordnhchamber.com/CYPN and email events@concordnhchamber.com to sign up for eblasts.